What do you need to know about Form 1099-K? Form 1099-K is an information return that reports payment card and third party network transactions for the calendar year. 1099-K forms are giving IRS new collection leads. A memo to IRS collection staff told them to use the data reported on the 1099-Ks to reopen cases that were shelved and put on hold because the taxpayer could not be located or the tax debt could not be collected. Credit and debit card companies file 1099-Ks to report payments made to merchants. At a minimum, IRS agents can levy future payments until the tax debt is fully satisfied. 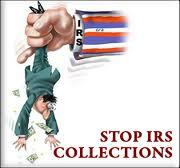 If you are in IRS collections we can help. This entry was posted in IRS Collections and tagged File Returns, File Tax Return, IRS Problem Help, IRS Tax Problems, Tax Penalty Reduction, Tax Problem Solutions. Bookmark the permalink.